When you ride your bike hard every day, you’re going to need replacement parts sooner or later. 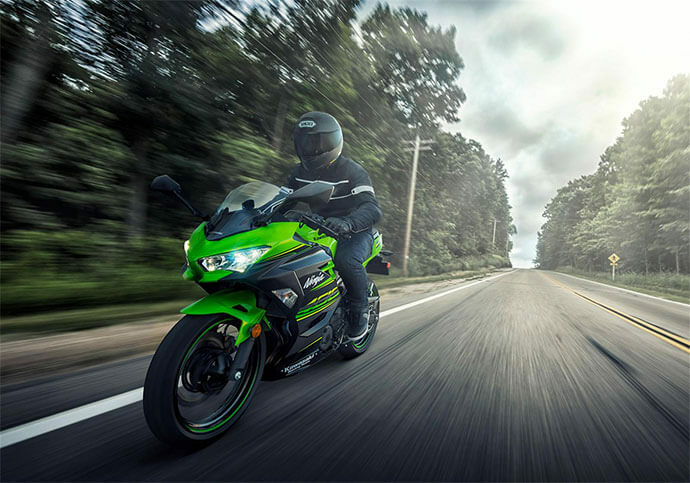 To ensure your Ninja 400 runs the way it should, find OEM motorcycle parts designed for your bike. Here is your OEM and aftermarket buying guide for the components that need the most attention during the lifespan of your Kawasaki Ninja. Arguably the most important component of your bike, the braking system needs regular check-ups. Worn pads, warped rotors and loose brake lines are all hazardous while riding. Increase your stopping power with new brake components. For increased stopping power, Galfer has engineered their Floating Wave rotors, which provide consistent contact between the brake discs for better responsiveness. There’s nothing worse than an engine that won’t crank on a cold morning. If your battery doesn’t hold its charge, it’s time to replace it. With hundreds of options to choose from, where do you find the best battery for your bike? Bike Master has plenty of options that will fit your bike without breaking the bank. For better performance, consider a battery from Antigravity. Does your chain seize, grind or skip teeth? Find the Kawasaki replacement parts you need for smooth acceleration and shifting. JT and Sunstar make aftermarket sprocket and chain kits designed to fit your Ninja. Consult the OEM guide for the correct sprocket and chain size and tension to ensure proper timing. After prolonged heavy use, your tires may be the worse for wear. To ensure the best traction and control, mount new performance tires. Depending on your riding style, find a tread pattern that suits the conditions. Continental, Pirelli, Michelin and Dunlop are among the major manufacturers that produce tires for the Kawasaki Ninja. Rediscover your reason for riding. Find the replacement OEM parts you need for your Kawasaki Ninja 400 and breathe new life into your motorcycle.